¾” TempActiv™ Gel Memory Foam:• The TempActiv™ Gel Memory Foam is infused with gel cooling beads that helps the Memory Foam absorb and dissipate excess heat, while still providing pressure relieving support. 2” EverCool® Fuze Gel Memory Foam:• The EverCool® Fuze Gel Memory Foam is a conforming and supportive foam that is infused with Gel to provide a cooler feel to the Memory Foam. 1.5” EverCool® Supreme Memory Foam:• The EverCool® Supreme Memory Foam offers a Plush yet supportive feel. Serta® Ultimate Edge® Foam Support Core:• Advanced foam system helps support your body throughout the night. Built to be extremely durable for support night after night. Ultimate Edge® Support strengthens the mattress edges to prevent roll off and longer mattress life. Is Blue 500 Plush the right bed for you? 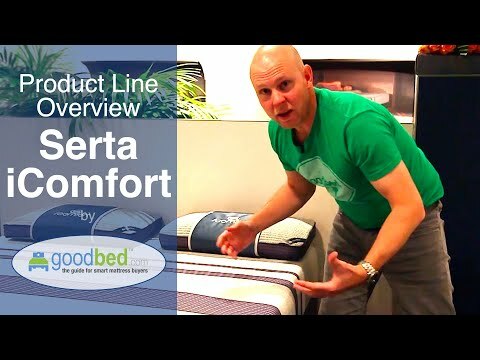 The Serta iComfort Blue 500 Plush mattress model is recommended by 40% of owners on GoodBed (based on 10 ratings). Do you have a Serta iComfort Blue 500 Plush mattress? Write a Review! 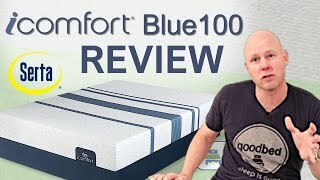 There are 10 ratings on GoodBed for the Blue 500 Plush, but no reviews yet. Be the first. Have a question about the Blue 500 Plush? The Blue 500 Plush is an unquilted medium-soft mattress model released in 2017 that is part of the iComfort product line manufactured by Serta. The Blue 500 Plush is a 11.25-inch thick no-flip mattress that offers memory foam padding. Have an update or correction to our information about Serta iComfort Blue 500 Plush? If so, please take a moment to suggest an edit. 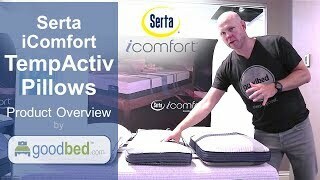 Showing stores with Serta iComfort Blue 500 Plush products nearest to Ashburn, VA. Call store first to confirm availability.